The centerpiece of the “sky theater” in the planetarium is the GOTO Chronos Star Projector that can transform the dome with 8,500 optically projected stars representing the night sky as seen from anywhere on Earth. The Chronos has excellent presentation qualities and superior craftmanship. The GOTO OPTICAL MFG. CO. is the only manufacturer in the world that develops all the equipment and instruments related to the space theater, including planetarium star projectors, telescopes, large format motion picture systems, Viturarium, and visual software. New systems combine realistic night sky simulation with video, laser graphics, multi-image and movie-theater surround sound to immerse visitors in the wonders of space and beyond. These systems offer cutting edge performance. 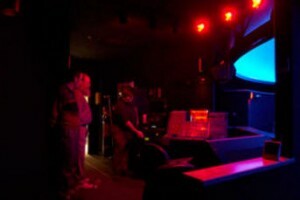 A number of companies offer theater design, theater automation systems, astronomical simulation, hemispheric video projection, audio systems and dome projection screens for training, entertainment and education. This will all take place on the Spitz projection dome. 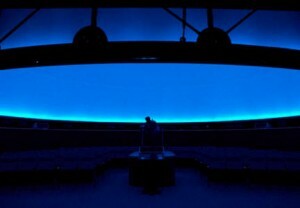 Spitz is a supplier of domed screens for visual simulators, large-format film theaters and planetariums.